Over 30 years of software sales & development. Thousands of customers worldwide. And, we’re just getting started. CYBRA specializes in RFID technology, real time tracking systems, and barcode forms & labeling software solutions. We strive to build solutions that meet the needs of our clients, customers, and partners. 32 years of software sales & development. Thousands of customers worldwide. And, we’re just getting started. CYBRA specializes in RFID + RTLS software and barcode, forms & labeling software solutions. CYBRA’s software solutions are relied on by hundreds of the world’s most respected brands. Our most recent customer satisfaction survey (by Dun & Bradstreet) found CYBRA has a 95% satisfaction rate! And, our customer loyalty is over 99%. CYBRA has more than 2,700 customers worldwide. Brands big and small rely on CYBRA software to meet a wide range of solutions. Many have been loyal CYBRA software users for more than a decade. 9 of the top 10 and 28 of the top 50 apparel brands are currently using CYBRA’s software solutions. CYBRA is the software engine inside some of the most popular warehouse and retail inventory management software in the industry such as Infor, Manhattan Associates, VAI, Oracle, and many more. FREE eBOOK – A complete guide that will help retail brand owners, manufacturers, and distributors reap great benefits from integrating RFID into their supply chain. This guide will give you tremendous insight into RFID technology, and how to benefit from implementing RFID tags. Create rules & conditions so you can automate print jobs. No programming experience required! MarkMagic combines report writing, label & form design, and a world class print processing engine in one package. Add color logos or product drawings. Then, define variable graphics to print graphics automatically. MarkMagic runs nativley on the IBM AS/400, and doesn’t require a separate server. That’s why our software is so fast. Available for IBM AIX, Windows, Mac, Linux, and the cloud. Create rules & conditions so you can automate print jobs. It’s easy to do and no programming experience is required! MarkMagic combines report writing, WYSIWYG label/forms design, and an enterprise class print processing engine in one integrated product that lets you create sophisticated print jobs. Add color logos or product drawings. And, define variable graphics when you want different images to print automatically for each product. 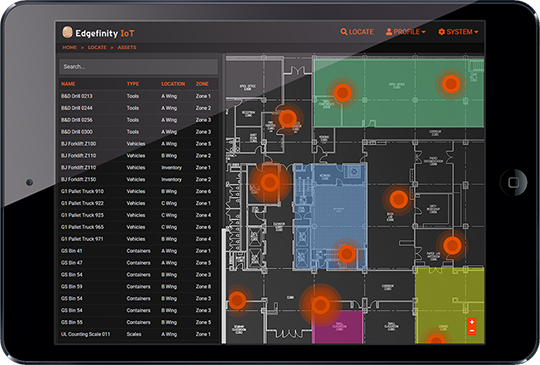 Track assets, goods, and even employees in real time with Edgefinity IoT’s RTLS software capabilities. Get a real time look of an entire facility, or get as granular as tracking one specific piece of inventory. With Edgefinity IoT you can speed up your warehouse/manufacturing operations and make your facilities safer and more secure. Search for people or items in your facilities in real time. Edgefinity IoT is web based, and is available on any device or platform. Edgefinity IoT sends up to the second alerts and updates. Easily customize Edgefinity IoT to your organization’s exact specifications. CYBRA’s RFID software platform, EdgeMagic, is a complete solution that allows organizations manage RFID tagged inventory, equipment, and assets. An RFID solution for commissioning, writing, and reading RFID tags, EdgeMagic is designed to manage edge devices, encode and read RFID tags as a stand-alone application or can be fully integrated with System i ERP or warehouse management system applications. 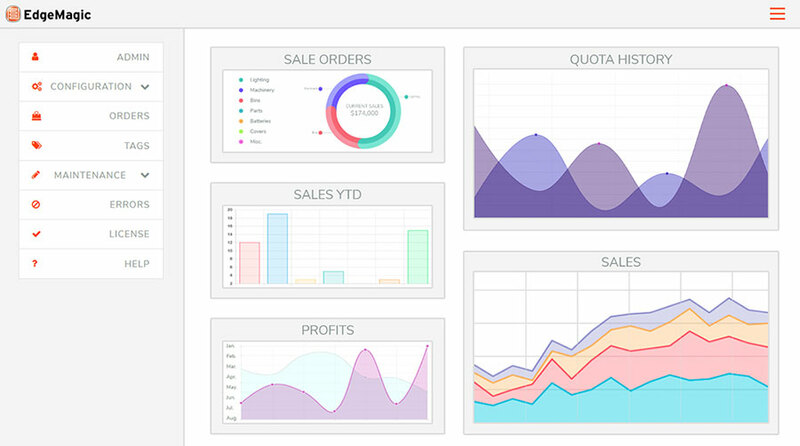 EdgeMagic’s dashboards visualizes RFID tag data. Act on improved intelligence from RFID data integrated in your ERP / warehouse management system. EdgeMagic includes a geiger counter function that runs on a mobile handheld terminal to lead the operator to the correct asset stored anywhere in the facility. With EdgeMagic, track pallets, containers and work-in-process jobs. Or, tag and track assets as they move throughout your warehouse or distribution center. CYBRA’s products are integrated into enterprise software for Manhattan Associates, Oracle, Infor, CGS, and more.